El Metro’s Mission is to promote and provide high quality, cost-effective public transportation services that address the needs and demands of the citizens of Laredo, Texas. In 1889, Laredo built the first street railway system in the United States west of the Mississippi River. 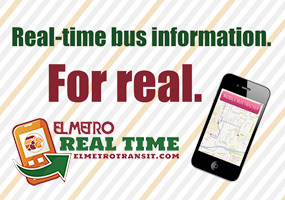 Today, El Metro is an award winning transit system that operates fixed route and paratransit services with 187 employees, an operating budget of over 13.4 million dollars and an annual ridership of 3.1 million passengers (2015). 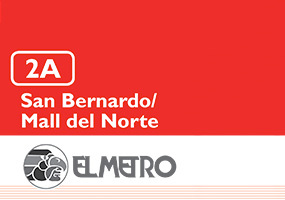 El Metro works with a fleet of over forty-seven (47) fixed route buses, two (2) trolleys and eighteen (18) demand-response “El Lift” vans. Our economical fares and reliable service provides the community of Laredo an alternative for their transportation needs. 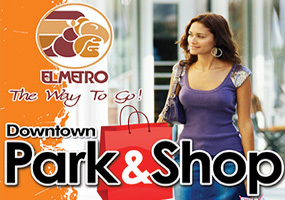 The City of Laredo renewed the contract with First Transit to administer the operational duties of El Metro, Laredo Transit Management, Inc. in 2010.